ACTS tested material for use on the Kingdom Tower. Advanced Construction Technology Services (ACTS), a leading material and geotechnical consulting firm in the Middle East, has witnessed strong growth in the region, particularly in Saudi Arabia and Qatar, as it focuses on raising the quality standards for the construction industry. In addition to its primary role as a consultancy, the company sponsors the American Concrete Institute (ACI) in the Middle East and offers training programmes in the materials engineering and technology field, while conducting forums to disseminate knowledge in the region. 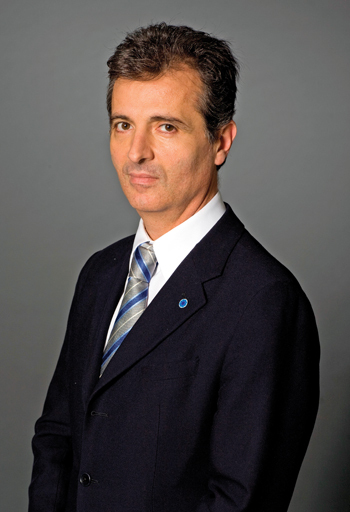 The multinational company, which has its main bases in Qatar, Saudi Arabia and Lebanon, continued to witness strong revenue growth in 2014, registering an increase of 39 per cent over 2013, due to its involvement in key projects such as the Riyadh Metro, Kingdom Tower and King Abdulaziz International Airport in Saudi Arabia as well as the Doha Metro in Qatar. For the King Abdulaziz International Airport in Jeddah, the company was commissioned to carry out quality control and third-party testing works. This entailed the testing of a total of 3.5 million cu m of concrete under the management of Dar Al Handasah (Shair and Partners), the construction manager at Jeddah’s King Abdulaziz International Airport Development Project, and Saudi Binladin Group (SBG), as the main contractor. 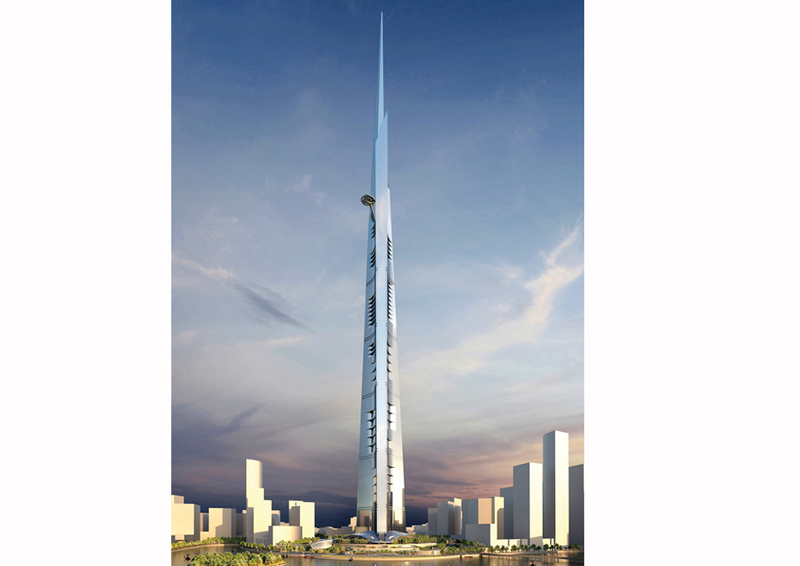 Another high-profile project, also in Jeddah, for ACTS is the Kingdom Tower where it was appointed as an independent testing agency to carry out quality control of all construction materials that will be used on the striking development, which is designed to be the world’s first kilometre-high skyscraper. The great height of the Kingdom Tower calls for high-strength, high-performance concrete, and ensuring adherence to the highest quality standards. ACTS mobilised state-of-the-art testing equipment and professionals to do third-party testing works on about half a million cu m of concrete and around 80,000 tonnes of steel to be used on the mega project. “ACTS also deployed special equipment to evaluate the rheological properties of concrete to ensure it will be pumpable to very high elevations. Deploying around 100 expert staff members, ACTS installed a fully-equipped site laboratory for the day-to-day quality control operations and provided specialised testing services from its laboratory facility in the Briman area of Jeddah, which is one of the largest testing facilities in the Middle East,” says Awad. Among its latest projects is the Riyadh Metro, where ACTS has received the subcontract to handle geotechnical and geophysical works on Lines One and Two. The company has allocated its geotechnical engineering experts to oversee the drilling and logging works, and to conduct testing and analysis, along two of the six metro lines being constructed in Riyadh. In addition, six drilling rigs and a range of state-of-the-art geotechnical and geophysical equipment have also been mobilised for the project, with a total of 65 persons already deployed by ACTS. The company will be supporting the BACS Consortium (Saudi Arabian Bechtel, Almabani General Contractors and Consolidated Contractors Company and Siemens Aktiengesellschaft), which is the contractor for the two metro lines. Established in 1996, ACTS specialises in material testing and consulting, as well as geotechnical and geophysical engineering. It operates in most Middle East countries and has its main bases in Qatar, Saudi Arabia and Lebanon. “ACTS is the local sponsoring group for the ACI in the Middle East and offers training programmes in various tracks related to materials engineering and technology. In the same framework, we organise an annual international conference themed ‘Future Concrete’ which has become a regional forum for presenting and discussing the latest advancements in concrete construction practices,” says Awad. With more than 700 employees throughout the Middle East, ACTS offers a wide range of services that include consultancy, geotechnical and geophysical engineering, pavement engineering and evaluation, material testing and training and certification. ACTS’ geotechnical division consists of a team of geotechnical engineers, geophysicists and geologists equipped with an in-depth knowledge of a wide range of subsurface conditions. Its facilities and processes utilise the most modern, cost-effective and practical techniques for ground investigations and solutions, as well as up-to-date design aid software. The company’s pavement engineering and evaluation team carries out deflection measurements and assessment of existing roads, highways and airport taxiways. “We are the leading regional provider of deflection measurement for airports after recently acquiring a heavy weight deflectometer (HWD) from Dynatest,” says Awad. In material testing, ACTS plays a leading role in offering third-party testing in major construction projects, thereby providing reliable test data and averting conflict that emerges when contractors are responsible for evaluating and approving their own works and material. When it comes to training and certification, the company’s core mission is to professionalise the industry and to elevate the quality of the construction field in the region. “These programmes are designed for all personnel employed within the concrete industry. The average training programme duration is three days,” says Awad. The company has recently opened new branches in Riyadh and Madinah. “This is another step in our group’s continuing growth in line with our desire to expand to meet client needs,” he states. Awad indicates that the company intends to expand into overseas markets after conducting an in-depth study of the construction market and careful planning. “We have grown from having a single branch to having seven branches in Lebanon, Qatar, and Saudi Arabia. Our expansion over the past 18 years has enabled us to significantly grow our business,” says Awad. He believes that the construction sector will continue to grow despite the drop in oil prices, driven by the large infrastructure needs. “The value of projects under construction is in the range of several hundred billion dollars. Saudi Arabia remains the largest construction market in the region, followed by the UAE and Qatar,” he says. Apart from its prominent projects in Saudi Arabia, ACTS is involved in several landmark developments in Qatar including the Doha Metro, where it has been awarded contracts to conduct geotechnical investigations and geophysical surveys on three of the four metro lines being constructed. The contract, worth more than $5 million, will see ACTS working on the Green Line Underground Metro line and Green Line Elevated and At-Grade in support of Porr Bau-Saudi Binladin Group Company-Hamad Bin Khalid Contracting Company; the Red Line Elevated and At-Grade with FCC Construction-Yuksel Insaat-Archirodon Construction (Overseas) Company-Petroserv JV; and the Gold Line Underground with Aktor-Larsen & Tourbo-Yapi Merkezi Insaat-Sezai Turkes Feyzi Akkaya-Marine Construction-Al Jaber Engineering JV. ACTS is deploying 16 drilling rigs, state-of-the-art field testing equipment, and six geophysical teams of highly-trained professionals on the project. The work package will include pumping tests, and in-situ assessments at the stations and along the tunnel/elevated structures alignment to go alongside its geotechnical investigations and geophysical surveys assignment. ACTS, which is scheduled to complete the assignment in 15 months, will also be tasked to drill more than 400 boreholes with a depth range of 15 to 60 m.
Other important projects in Qatar involve the geotechnical and geophysical works for the Inner Doha Re-sewerage Implementation Strategy (IDRIS), and the framework for local roads and drainage, both for Ashghal. It also has site laboratories at the Sheraton Park project with QDVC, at the Barzan gas project in Ras Laffan with Descon, and at the East Corridor road project with China Harbour. “This apart, we have been awarded the quality control and testing works for the Lusail Road development project (CP4) with Midmak-Yuksel,” says Awad. ACTS has recently completed the geophysical works for the first stadium for the 2022 Fifa World Cup in Qatar.